For today's Where are they now? post I'd like to talk a bit about a video game composer that's probably one of the most prolific having composed music for over 100 games in his career (that's a lot of music)! Today I'd like to talk a little about Scottish composer Barry Leitch. Leitch was born in 1970 and at the young age of 16 started composing music on his Commodore 64. It wasn't long before he was composing music for commercial games such as 1987's Xenophobe and Gemini Wing. During the late 80s and early 90s, he composed music for many games mainly for UK publishers/developers such as Gremlin Graphics and Ocean Software. Leitch also composed the sensational soundtrack to 1993's T.F.X., one of the earliest games I remember playing that had Red Book Audio (i.e. CD-quality audio that meant you could play the music in your CD player - Track 1 was the game data). It really got the adrenaline pumping as you dispatched bogies in your Eurofighter 2000 (or F-22 or F-117A for that matter). Around the same time T.F.X. was released, Leitch moved to the U.S.A. and worked at Origin for a couple of years, composing music for games such as the expansion pack to Wing Commander: Privateer, 1994's Righteous Fire. Leitch continued to compose music for games as well as children's toys. Famous companies he's composed music for include Midway Games, Atari, Psygnosis, Ubisoft, PopCap Games and Eidos. Only last year he composed the soundtrack to a modern reinterpretation of Capcom's arcade classic Strider. 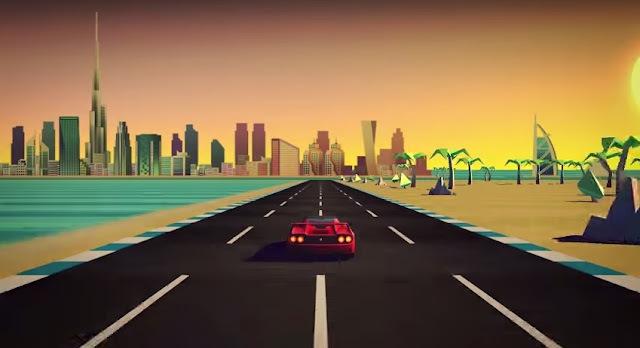 To this day, Leitch is still composing music in his trademark retro style and is scoring the music for the upcoming retro racing game Horizon Chase by Brazilian game developer Aquiris Game Studio. It's sounding pretty choice. I'm glad that video game composers such as Barry Leitch are still in the business. After almost 30 years he still knows how to pump out a groovy tune. Thanks for all the great video game music Mr Leitch and I'm sure the best is yet to come!